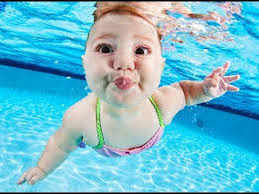 RingSlingBabyCarriers.com: Can Infant Swimming In Chlorinated Pools Cause Asthma? Can Infant Swimming In Chlorinated Pools Cause Asthma? Some parents like to teach their infant to swim and not be afraid of the water at a young age. And I'm sure they could have concerns about whether chlorinated pool water might harm their infants lungs and perhaps cause asthma. Not a concern to be taken lightly. This article provides helpful information about this possibility. You can read this complete article here. I hope you found this article on infant swimming in chlorinated water to be helpful. I also hope you take this opportunity to visit my website (store). We offer Hotslings Adjustable Pouch, Rockin Baby Pouch, Rockin Baby Ring Sling, Seven Everyday slings, and Lil Cub Hub Convertible Baby Carriers in a wide variety of fabrics and colors. Thank you for visiting my blog and hopefully also my website.